Abby the Librarian: Books Make Great Baby Gifts! I don't know about you, but it seems like my friends are exploding with babies this spring. Which means... lots of baby showers and lots of baby gifts! Clothes and toys are all very good as gifts, but we readers know that books make excellent gifts, too, especially for babies and children. In fact, research tells us that access to books in the home is a critical factor in children's literacy. So, start those babies off right by giving books as shower gifts! Board books are a great choice for babies because their cardboard pages are sturdy and will hold up through most anything a baby can do to a book. 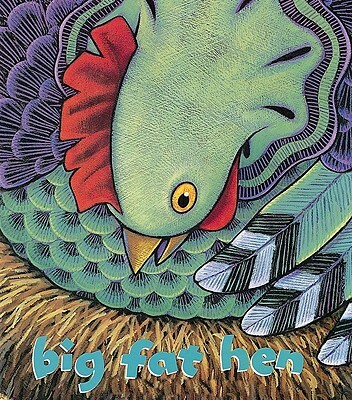 Big Fat Hen by Kevin Baker. Nursery rhymes are great for little ones because rhymes help kids hear the smaller sounds in words and because nursery rhymes often contain words that you don't hear very often in everyday conversation. Big Fat Hen is one of my favorites to read aloud and I love all the little chicks at the end! From Head to Toe by Eric Carle. Eric Carle's books are classics and no child's library will be complete without them! While I love The Very Hungry Caterpillar, lots of parents are already familiar with that title. From Head to Toe is another great choice. Read it with baby, reinforcing the body vocabulary by gently touching each body part as you read the book. There are also many boxed sets and gift sets of Eric Carle's books available. Where is the Green Sheep? by Mem Fox. Rhyming couplets and cute, colorful illustrations will make this sweet book a favorite. Once I read this at a preschool storytime and every time I read the line "Where is the green sheep?" one of the kids added, "And the PURPLE sheep?!" Ten Little Fingers and Ten Little Toes by Mem Fox. Now available in board book format, this book has a great lilting, rhyming text and features multicultural babies, emphasizing how we're all different and we're all the same and baby is loved. This board book edition is large enough that you can take in Helen Oxenbury's beautiful illustrations and it has study pages so baby can handle it herself. 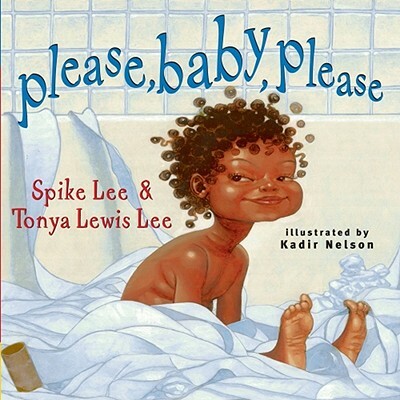 Please, Baby, Please by Spike Lee. This book, beautifully illustrated by Kadir Nelson, takes us through a baby's day with a simple, rhythmic text. And if you're unsure about giving a book that features characters of a different race than the baby you're buying for, let me remind you that children need to know that people come in all colors. Reading stories featuring diverse characters is a great way to help them learn that from an early age! Although babies need access to books they can handle themselves, hardcover books for a baby's library are a great idea, too. These might be books parents can read aloud to baby at bedtime or books for baby to grow on and enjoy when she's a little older. Tomie DePaola's Mother Goose by Tomie DePaola. 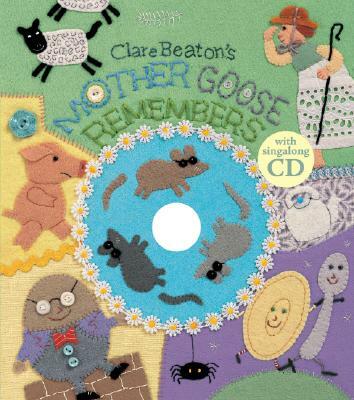 A Mother Goose collection is an essential part of any baby's library! I happen to love Tomie DePaola's illustrations, but if they don't work for you, pick out your favorite. I also love Clare Beaton's Mother Goose Remembers and if you're on a budget, pick up Tomie DePaola's My First Mother Goose - this board book contains some of the most well-known Mother Goose rhymes. Llama Llama Red Pajama by Anna Dewdney. Gentle rhymes and cute, colorful illustrations make this a bedtime book that will grow with a child. Anna Dewdney's written several other Llama books. If this one is a hit, parents can pick up others in the series. On the Farm by David Elliott. This is definitely a book for baby to grow into, but until he or she can grasp the poems, this book is a great choice for singing farm animal songs and learning animal sounds. Learning animal noises is great for phonological awareness (knowing that words are made up of smaller sounds). As baby grows into toddler and preschooler, he or she will have a new appreciation for David Elliott's poems. The Lion and the Mouse by Jerry Pinkney. This nearly wordless book was the 2010 Caldecott Medal winner and it's a book your child will want to pore over again and again when he's a little older. Collecting Caldecott winners is a surefire way to start baby off with an excellent library. Overboard by Sarah Weeks. Books that describe things babies are familiar with are great for little ones. And what baby won't eventually be familiar with that fun, fun game of throwing toys out of a crib or food from a high chair? 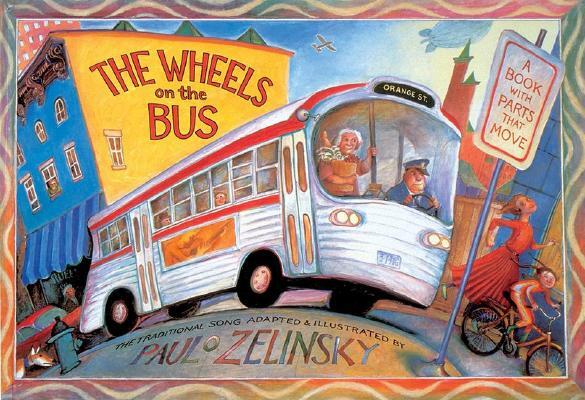 The Wheels on the Bus by Paul O. Zelinsky. One way to develop a love of books is to present books in different ways. Books don't have to be read - they can be sung! And nowhere is this more evident than in The Wheels on the Bus. While the pop-up format might not last long in baby's hands, this is a great one for your child's library. I'm wary of buying books for librarian friends because I figure they've got their own taste and they know what they're looking for. So how about a CD? Soothing bedtime music, child-friendly music for the car, or music to encourage movement are all good choices. Here are a couple of my favorites. 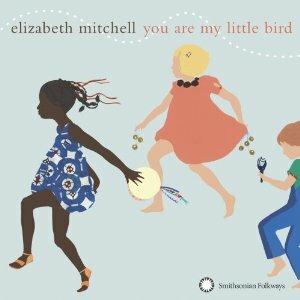 You Are My Little Bird by Elizabeth Mitchell. The songs are kinda folksy and this is definitely a CD that I don't mind listening to again and again. I think it's a nice choice for kid-friendly music that's appealing to parents, too! My favorite on this album is Zousan (Little Elephant), which is in Japanese. 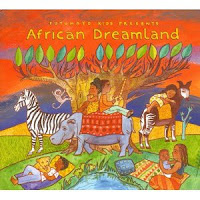 African Dreamland by various artists [Putomayo]. I love, love, love Putomayo! All of their recordings that I've heard are great and this is a great choice for exposing young ears to the sounds of different cultures and countries. I love African Dreamland because the music is beautiful and soothing, but Putomayo's got a large catalog of world music for kids, so browse through and choose your favorites. Let's Play by Raffi. Okay. Say what you want about Raffi. He's a children's music classic. And I love the song "Swing" on this album. Anyone I worked with at BAL could tell you that it was my favorite song in all our storytime browsing music.